In no way should any of the material on this website be construed as investment advice, nor used as the basis for any investment strategies. BuyGoldBars.com cannot take responsibility for any investments you may make, and all decisions you make in regards to physical gold bullion investments are yours alone. All investments carry risk, and physical gold bullion is no exception. 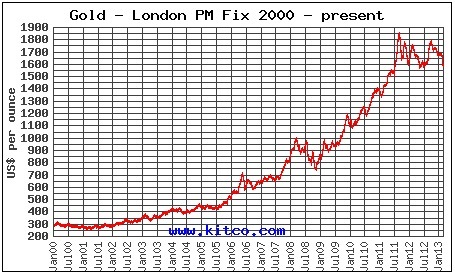 By investing in precious metals you accept the possibility of losing some or all of your principle investment. You also acknowledge that any return may take years to realize, if at all. As stated, BuyGoldBars.com in no way recommends you to place your money into precious metals, nor takes responsibility for what happens if you do invest. Humans make mistakes, and we are no exception. We cannot be held responsible for typographical errors on our website, nor technological issues that may prevent access to our website and/or content. Our Market Updates are provided purely for informational purposes, and in no way construe recommendations or forward-looking statements about the precious metals markets. Please do not make investments based on the content in our Market Updates. For any questions about this disclaimer, please contact us.